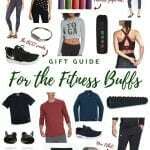 As I was coming up with ideas for Gift Guides this year, I knew I wanted to do something a little bit different. Every single blogger (including me!) 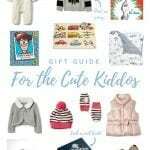 has Gift Guides for her, for him, for the home, etc. But what about something unique? 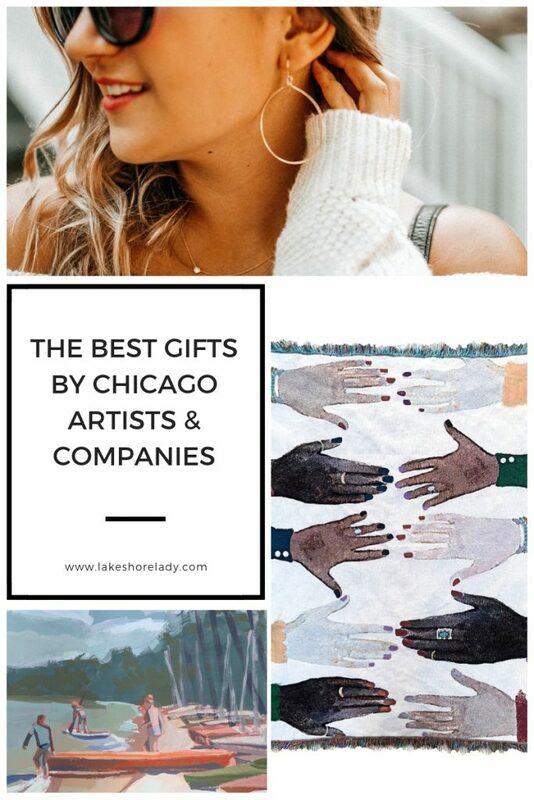 What about gifts that come straight from our amazing city of Chicago? One of the coolest parts about blogging is connecting with other creatives in the city. Katherine Corden and I have been “social media friends” for a while – until we finally met in person last week and now I have one of her paintings! Adam is good friends with Carly from Clementine Studio – and now a few people are getting her blankets for Christmas. Able Apparel is doing amazing work here in Chicago – and I live in their cozy sweatshirt when it’s cold out. And of course, you guys know I love me some Alice & Wonder. (Most recent evidence here and on Instagram here ?) But to be honest, this post got way more fun when I asked for YOUR help! I got tons of messages with suggestions – and it made me so proud to live in such an awesome and creative city. As I mentioned above, I “met” Katherine through social media and instantly became a fan of her work. 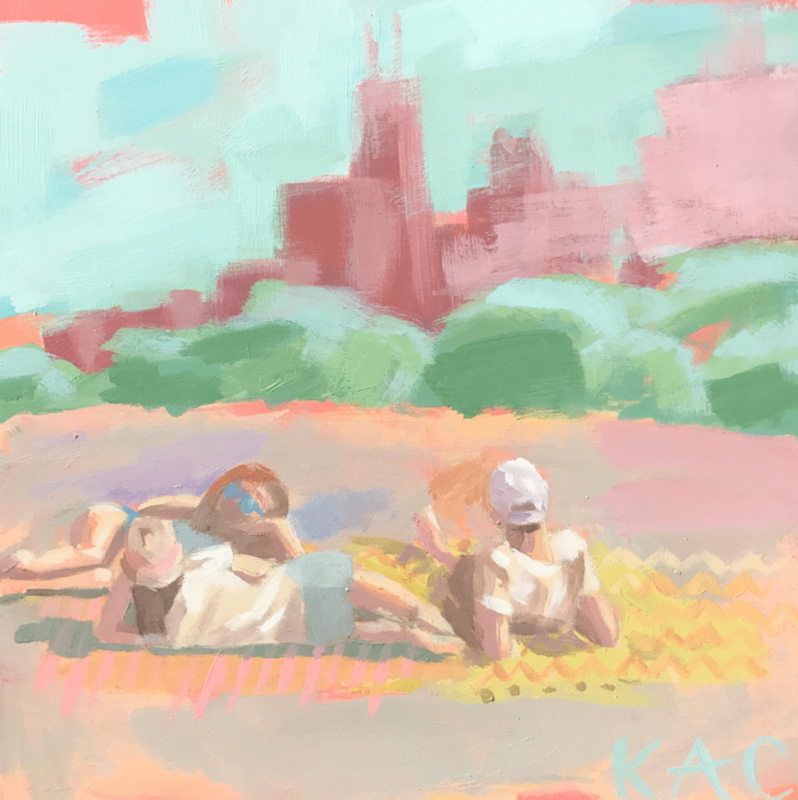 I love the way she colorfully captures Chicago, especially in the summertime. I now have her North Ave Loungers painting (shown above) at home and I’m completely obsessed. (I’ll give you another peek at it on my insta-stories today, too!) But that’s not all! She also does personal commissions! How cool would it be to have her paint your family’s lake house or your childhood home or a view from your favorite vacation? Such a cool gift! Tegan is actually a friend of mine from way back in High School. She’s always been super artistic, so I love that she’s now selling some of her work online! Her animal prints are amazing – and the perfect gift for any nature lover in your life! Tyler Feder is the only one on this list of artists I haven’t met, but I feel like I have solely because we are both Parks & Rec superfans! But really, Tyler’s work is fun, touching and really unique – all things that make a great gift. I personally love the Parks & Rec Mood Chart and print of foods Ron Swanson loves ? In short, Bright Endeavors makes really great bath salts, scrubs and candles. But behind the scenes, they are helping young mothers in Chicago make their way out of poverty by teaching them to craft premium products in a supportive, professional environment. Seriously, how amazing is that? You can shop their products and support the cause on their site, at Whole Foods, and now on The Little Market! 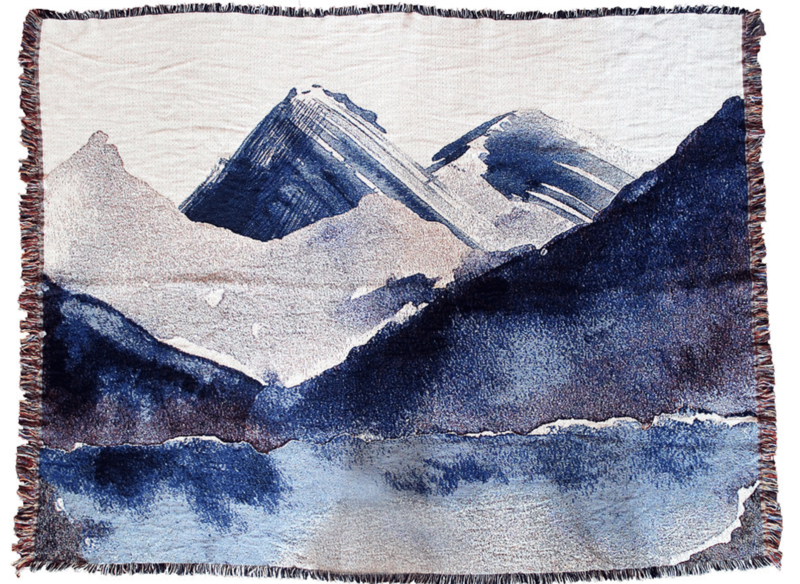 I could have put Carly under the artist category, but I wanted to list her here instead because she recently launched the most beautiful woven watercolor blankets (shown above). I got a few and I can’t wait to give them as gifts this year! In addition to the blankets, Carly also has gorgeous prints (obsessed with Stan’s Donuts and the Women’s March) as well as beautiful wedding suites and custom stationary. Basically, everything she creates is super dreamy ? About a month and a half ago, Able Apparel reached out to me and I instantly became a fan. Able isn’t just a retail site, it’s group of people “dedicated to ending violence in Chicago by increasing economic opportunity and restoring a sense of community in the Chicago neighborhoods that need it most.” Sounds great, but how do they do that? Well, they invest 50% of their net profits to Chicago based nonprofit organizations that provide access to education, career pathways and neighborhood safety. I have their sweatshirt (you may have seen it on instagram!) and it is seriously the softest thing EVER. If anyone on your list likes to cozy up in the winter (aka every person in Chicago! ), this is a great gift that you can feel good about. *Use code LAKESHORELADY for 10% off your order! By now, you should all know that I’m OBSESSED with Alice & Wonder, right?! When Ali opened up their first brick & mortar store this year in Lincoln Park, I couldn’t stop (still can’t stop!) telling her what a proud friend I am! Basically, if you like pretty, fun and girly things, you will love this store. But the best part? Everything is under $100! 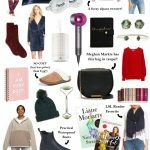 Holiday shopping DREAMS, people! I obviously can’t speak from experience, but one of my best friends has informed me that Monica & Andy has the BEST baby clothes! She is obviously right – turns out they are a Chicago-based conscious clothing company using the softest and most trustworthy fabrics to create, you guessed it – the best baby clothes ? Who can I buy this adorableness for this Christmas?! When I asked all of you for recommendations on insta-stories, Michelle Starbuck Designs came up a few times – and for good reason! Their jewelry is super unique, pretty and affordable! There are a million companies making warm knit hats, but Surhilo is particularly special. It was founded by a couple (the girl grew up in my hometown!) who met in South America. During one of their trips in the region, they joined a co-op of women artisans in Peru. Since coming back to Chicago, Eileen designs all of Surhilo’s products, and the talented ladies in Peru bring them to life, by hand. By doing it this way, they are promoting the use of organic, sustainable materials, while also supporting female artisans in South America. So cool, right? My love for Vo Jewelry is on par with my love for Alice & Wonder. Probably because the owner/designer (Amy!) is one of Ali’s good friends and another all around fabulous, hilarious, wonderful Chicago gal. I personally love her jewelry because it’s so classic and wearable. 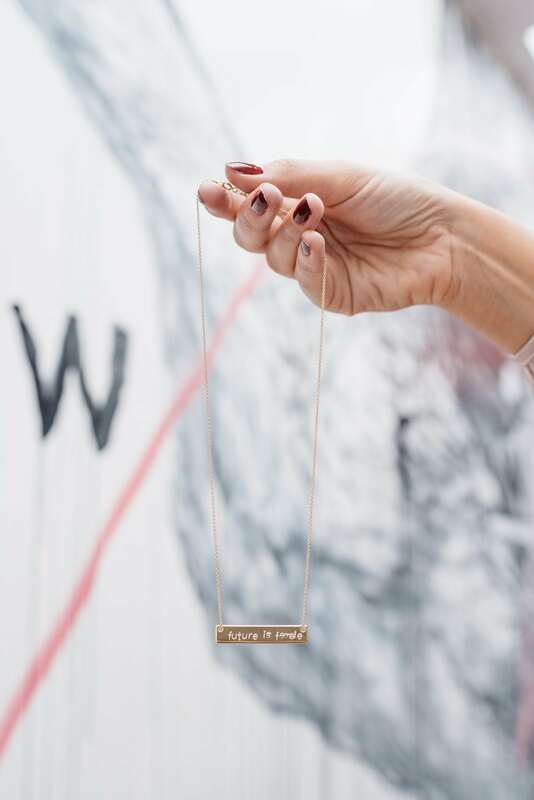 I wore her personalized bar necklace in Wednesday’s post (shown above), I own and love her double l necklace, and you may have seen her super lightweight tassel earrings on my insta-stories. But the best gift? In my opinion, it’s her custom letter necklace. How nice would that be for a new mama?! 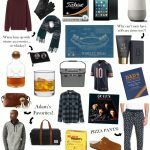 Are you buying any Chicago-based gifts this year? PS. 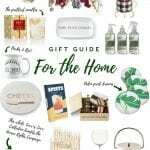 You might also like my Gift Guide for Her & Him and my Gift Guide for the Home & for the Cook. « Want that last minute manicure at a discount?